From your own ridge top, watch the sun come up over a beautiful valley on one side, then go down over the Pacific Ocean on the other. You\'ll have 270 degrees of HDR quality views all day long and deep into the starry nights, when full moons light up the whole world like a lantern. 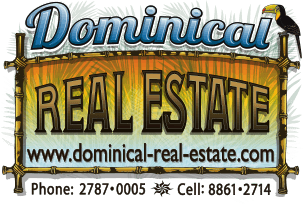 Less than 15 minutes from Dominical\'s beaches, bank, grocery store, restaurants and surf shops, you are close enough for convenience and far enough to be in your own world. Easily go out for dinner with friends or catch the surf when the conditions are perfect. You\'ll be on the edge of Lagunas, a popular community of Ticos and expats who like their privacy but also enjoy getting together for meals, parties or tennis matches. With a large percentage of the property easily cleared without getting permission, you can go whichever way you want with your creativity, from an estate home to a cluster of cabins/villas to rent long or short term as a gathering place for active, adventuresome, inquisitive people. Building a home here is fairly parallel to building one in your home country. We can refer you to a reputable architect if you need one, as well as builders and other resource people, and alert you to special considerations so it goes well for you.